Kim Kardashian recently shared a throwback post of a shoot she had in September for her collection. In the photo, she covers her bare curves with a towel while her long hair reaches the floor. 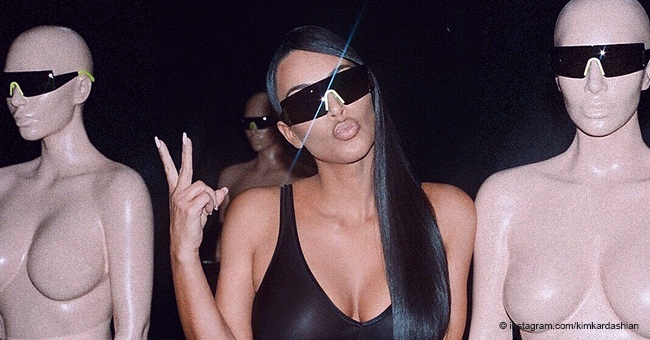 The oldest Kardashian daughter is one of the most controversial figures on social media. Recently she put up a post where she posed unclad, and it appears the dead drop gorgeous diva struck a boss lady look in the photo. The throwback picture had her draped in a towel, with a light shade of makeup on her face, drooly hair, and bare feet. Her hair stylist was extraordinarily ready for her hair, as he held up a spray to keep her look flawless. The famous face which features in the reality TV show, "Keeping Up with the Kardashians," has as much love for her family as for her business. She and her rapper husband, Kanye West are expecting their fourth child, while the mother of three isn't medically fit to get pregnant, she opted for surrogacy. Irrespective of her busy schedule, she has always had a way of taking care of important business, which is mainly her family. The new KUWTK premier gives an insight into how she handles her matters. In a short clip, she is seen pondering on the issue of relocation that was initiated by her husband, Kanye, and she hopes he reverses this decision. 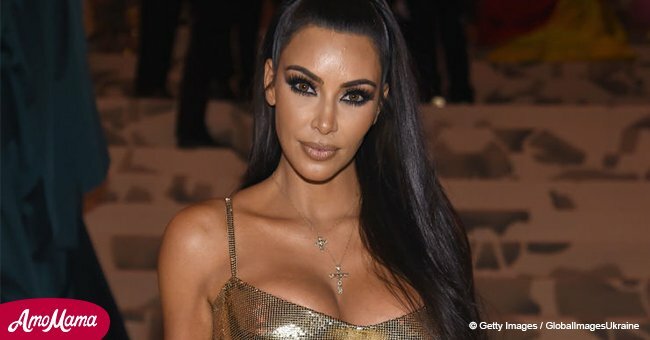 In the details released by "PEOPLE," it was said that, Kim was never going to move to Chicago, and hoped that Kanye would change his mind quickly like he usually does when he gets spontaneous ideas. The 38-year-old mother will always be in the spotlight, not just for her powerful marketing strategy, but also for her poise, and standardized fashion sense. Whether it's with clothes or no clothes on, Mama North brings on her A-game. 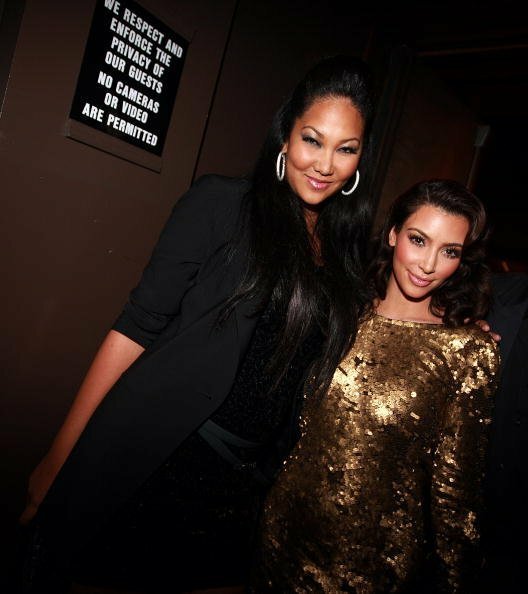 Stepping into the city of love with a nicely paired Versace tights and shoes, she slayed to a ladies’ night with her 43-year-old buddy, Kimora Simmons. The celebrity does have a history with Paris; many memorable events have happened in the capital city. Despite the robbery attack on her in 2016, she returned for a fashion show to cheer her husband, and his friend, who is the artistic director of Louis Vuitton. She mentioned how in love she is with the city, and how cautious she also is about her movements.